4 strawberry flavor; 4 blueberry flavor. New. Vitamin D. 1.5% milkfat. Probiotic dailies (Consuming twice a day for two weeks may help reduce the frequency of minor digestive discomfort, which includes bloating, gas, abdominal discomfort and rumbling.). Helps support your digestive health (Consuming twice a day for two weeks may help reduce the frequency of minor digestive discomfort, which includes bloating, gas, abdominal discomfort and rumbling.). Grade A. 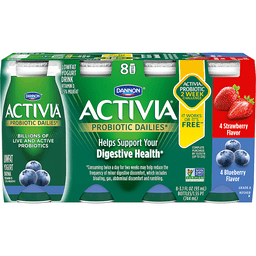 Billions of Live and Active Probiotics: Activia with billions of live and active probiotics may help support your digestive health (Activia may help reduce the frequency of minor digestive discomfort. Consume twice a day for two weeks as part of a balanced diet and healthy lifestyle. Minor digestive discomfort includes bloating, gas, abdominal discomfort and rumbling. ), and unlike probiotic supplements, it is a delicious food that provides essential nutrients like calcium. Live cultures. Live & active probiotics. Calcium & vitamin D for strong bones. Certified gluten-free. Probiotic pioneer with 20 years of research. Contains less than 1% juice. 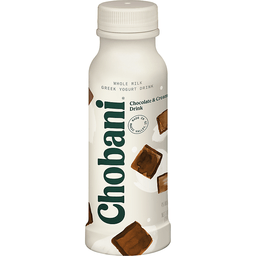 Contains billion of live and active probiotics per serving. Comments? Call or text 1-877-326-6668. Activia.us.com. Danone. 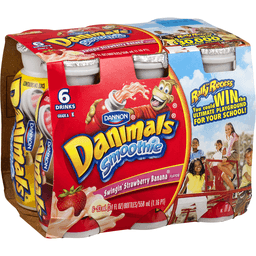 Dannon® Danimals® Smoothie Strawberry Explosion®. Same great taste! Grade A. Drinks. 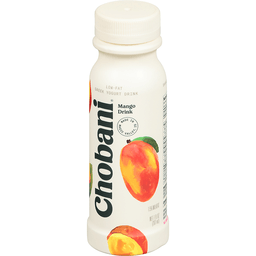 6 - 3.1 fl oz (93 ml) Bottles / 1.16 pt (558 ml). You know kids love the taste of Danimals, but did you know Danimals Smoothies are verified through the non-GMO project That means our smoothies are made with non-GMO ingredients from start to finish. All with the same great taste your kids love! Danimals promise to parents: No high fructose corn syrup. No artificial colors, flavors or preservative ingredients. Good source of calcium & vitamin D. Contains no juice*. Contains active yogurt cultures: S. Thermophilus & L. Bulgaricus. Certified Gluten-Free. Non-GMO Project Verified. nongmoproject.org. *Danimals drinks have no juice added for flavor, but do have fruit and vegetable juice added for color. Comments Call 1-877-326-6668. For more info visit: www.danimals.com, www.dannon.com. ©2017 Dannon. Grade A. Kosher. Certified gluten-free. Contains no fruit juice (Danimals drinks have no juice added for flavor, but does contain vegetable juice added for color). We want you to feel good about the snacks you give your kids. That's why there's Danimals Smoothies, a healthy and delicious combination of nutrition dairy and fun fruity flavors your kids will love! 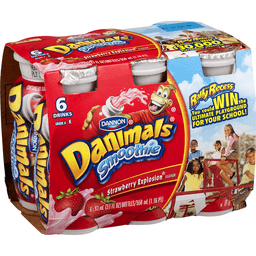 So good, you'll love giving your kids Danimals Smoothies every day, anytime, anywhere! Only the Good Stuff: No high fructose corn syrup; no artificial colors or flavors; good source of calcium and vitamin D. For more information visit: www.danimals.com. 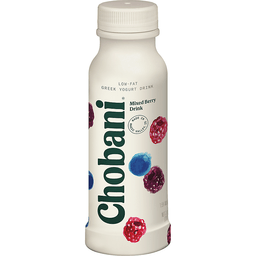 Contains active yogurt cultures. Partially produced with genetic engineering. Comments? 1-877-326-6668. www.Dannon.com. Whole milk yogurt. Only natural ingredients. Protein rich. Billions of probiotics. No artificial flavors. No artificial sweeteners. No preservatives. No GMO ingredients. No gluten. No rBST (According to the FDA, no significant difference has been found between milk derived from rBST-treated and non-rBST-treated cows). 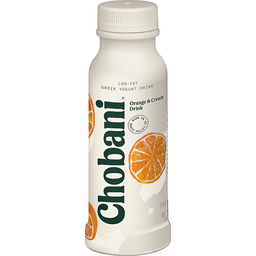 1/3 Less Sugar (than other adult yogurt drinks, Chobani: avg 15 g sugar; other adult yogurt drinks: avg 23 g sugar per 7 oz serving). Grade A. A portion of profits for a better world. Questions or comments? 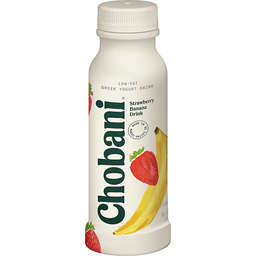 1.877.847.6181. chobani.com.